There are few things more exciting than having Calvary’s volunteer program grow with new members. Recently, the volunteer program gained two new members in a very special way. Two of our very dedicated volunteers recently gave birth to two beautiful babies. Recently, Liz (one of our educational facilitators) welcomed Theo into her life (they are pictured to the right). With a Masters degree in international affairs and expertise in leadership, Liz is passionate about BIG ideas, and gets them across in her Road to Leadership Class with creativity and enthusiasm. 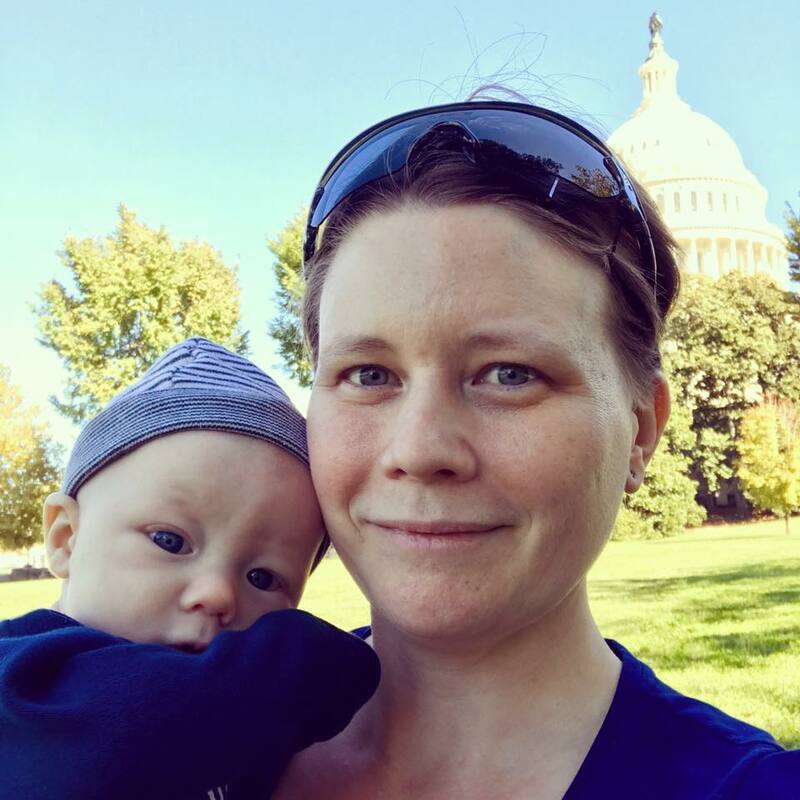 Liz began teaching just last year, when she moved to DC from Canada. We have enjoyed getting to know her as she learned to navigate a new city and have watched every step of baby Theo’s growth! Also recently, Sharnikya welcomed Queenie (they are pictured below). Sharnikya is part of our Volunteer Rock Star Club (the highest volunteer award) and never ceases to amaze us with her organization and leadership skills. She has led a meal group who has volunteered once a month since 2010; some of these meals are four-course dinners prepared by professional chefs! Sharnikya has also created our very loved twice-annual Spa Day. In fact, Queenie was born just days before the most recent spa day. Because of Sharnikya’s incredible leadership skills, the day still went off without a hitch! How many months old are you? Theo: I was a ladybug for Halloween! Queenie: I like to hear my mommy read. How are you (or your mom) involved with Calvary Women’s Services? Theo: My mom runs a leadership skills program for LEAP. Queenie: My mommy is a meal volunteer and also organizes loving events (spa days, 4 course dinners, etc.) for the ladies of Calvary. How long did your mom volunteer at Calvary before you came along? Theo: My mom had been volunteering since January 2017. Queenie: 7 years, she started volunteering in 2010. What does your mom like best about working with Calvary? 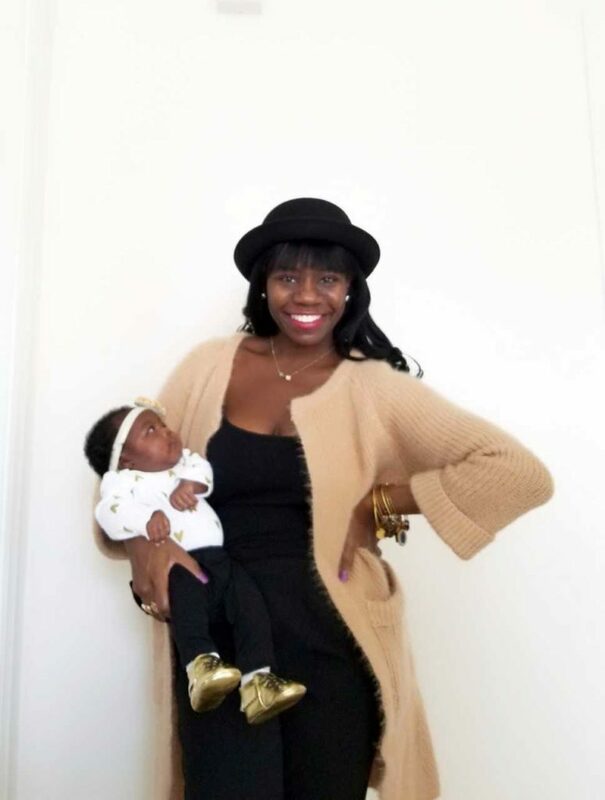 Theo: My mom loves meeting women who are finding grit and resilience within themselves. Queenie: She loves talking and interacting with the ladies. If your mom had to choose one word to describe Calvary, what would it be? If your mom had to choose one word to describe YOU, what would it be?